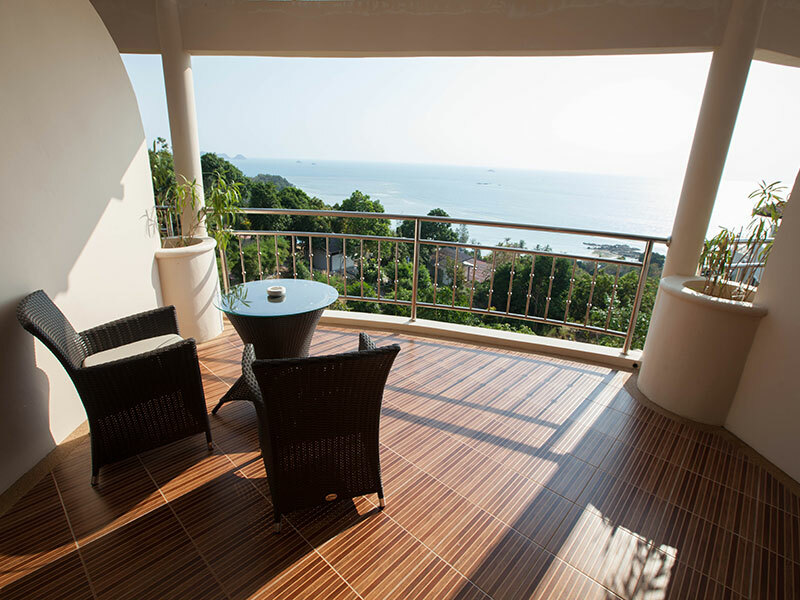 The 2 Bedroom Family Apartments are located in Jasmine and Orchid building and are ideal for families or groups of 3-4 persons who want to share an apartment together but don’t want to compromise on view, space or luxury. 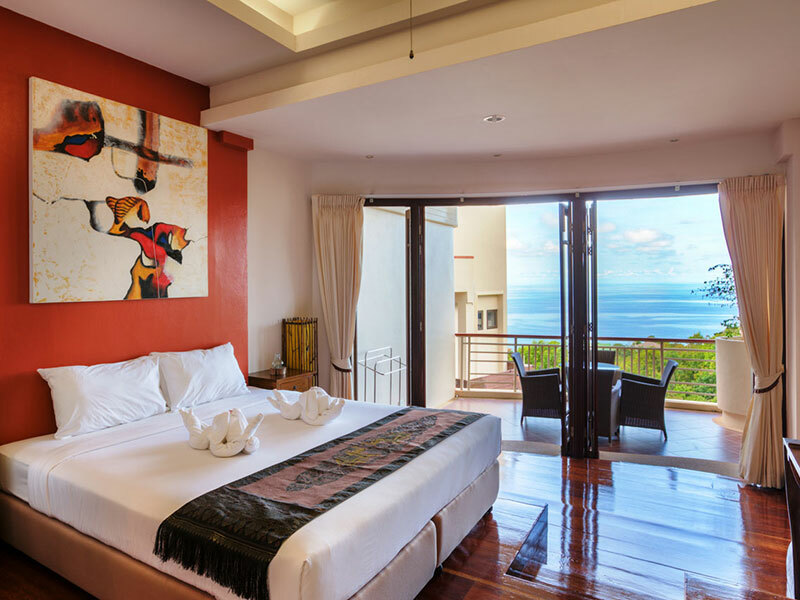 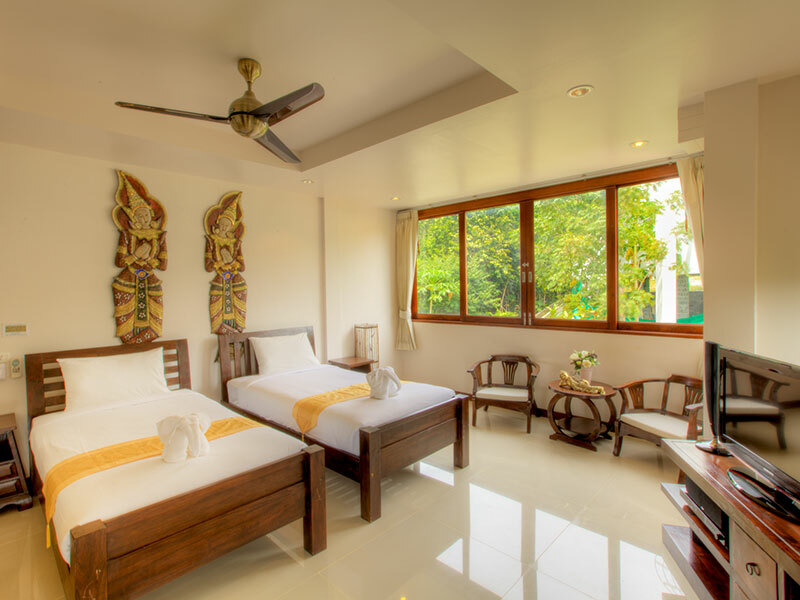 They consist of a Sea View Studio Suite connected by a private corridor to either a Garden View Room or a Deluxe Garden View Studio. 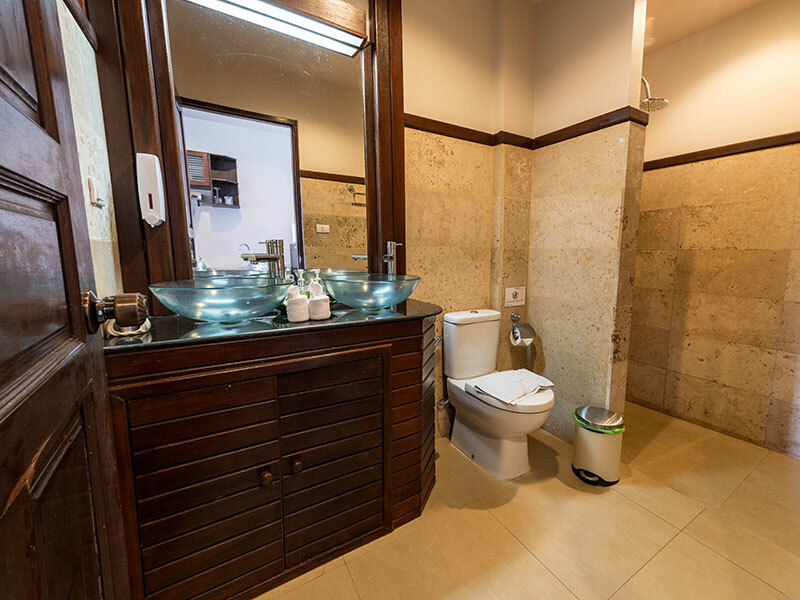 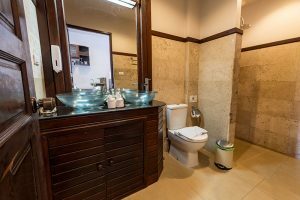 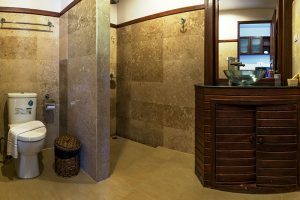 These apartments have two separate bedrooms each with en suite bathrooms. 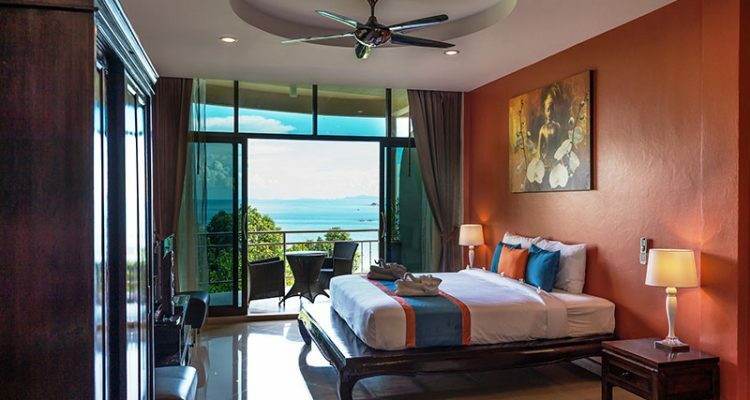 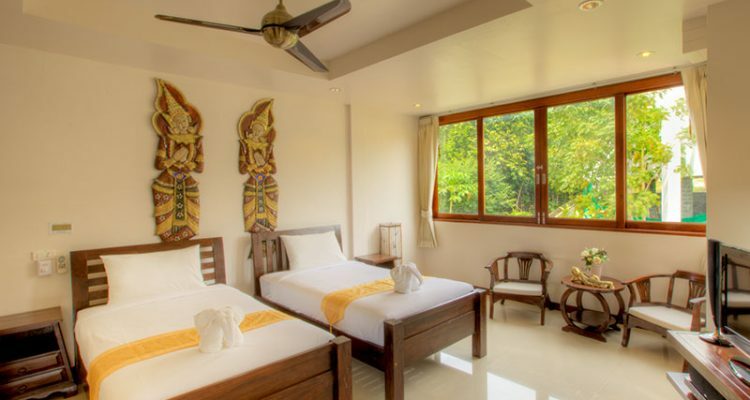 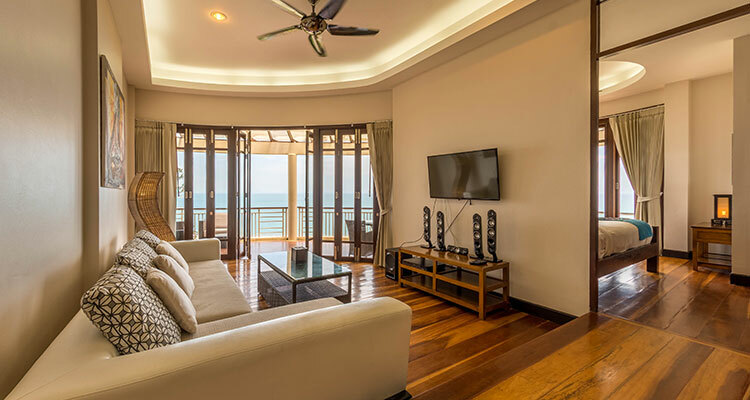 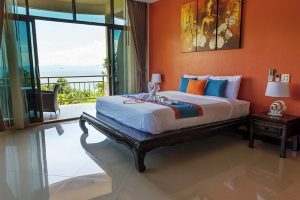 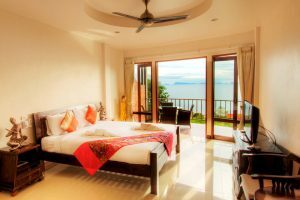 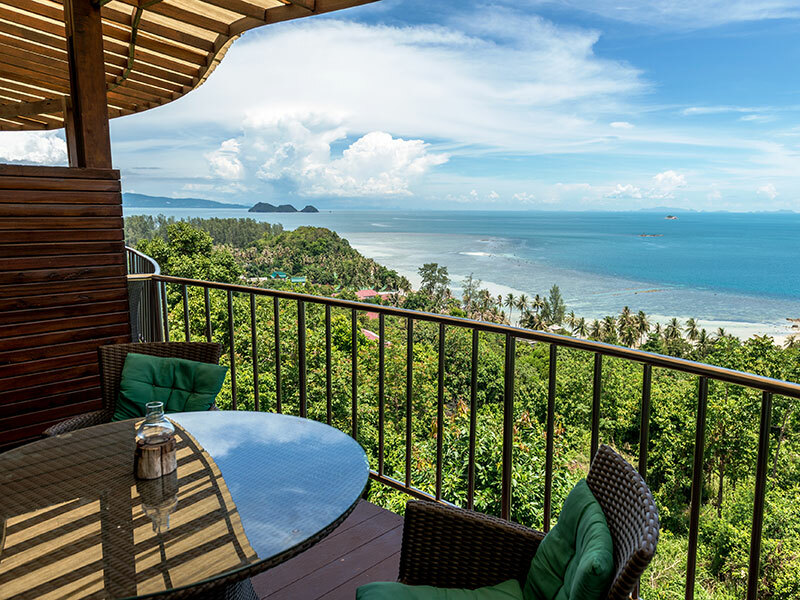 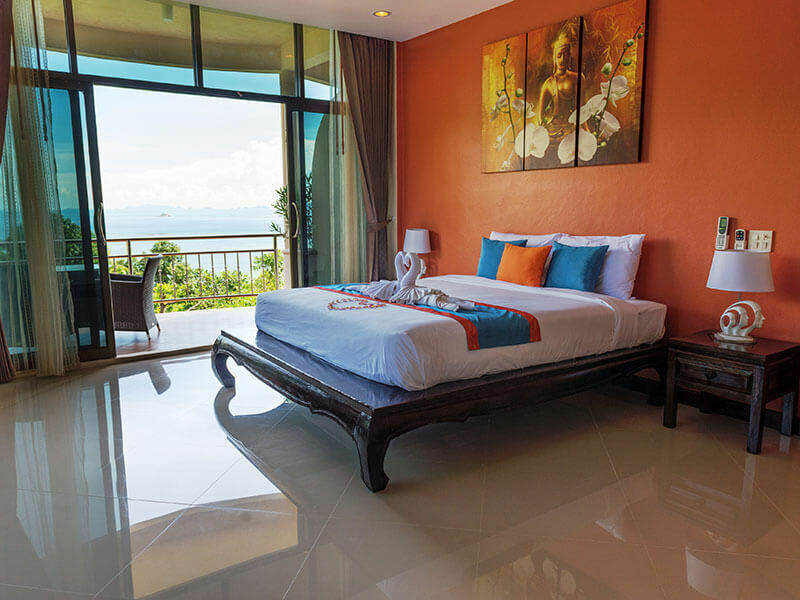 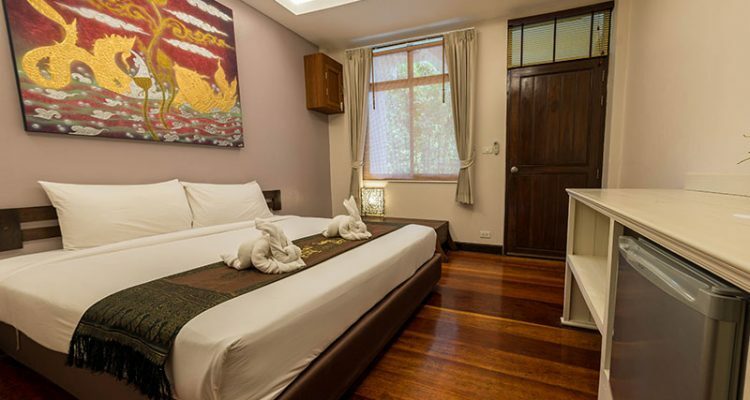 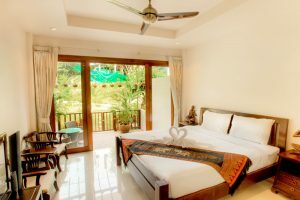 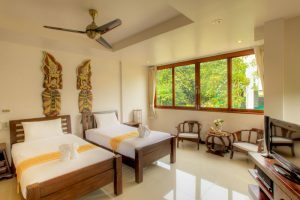 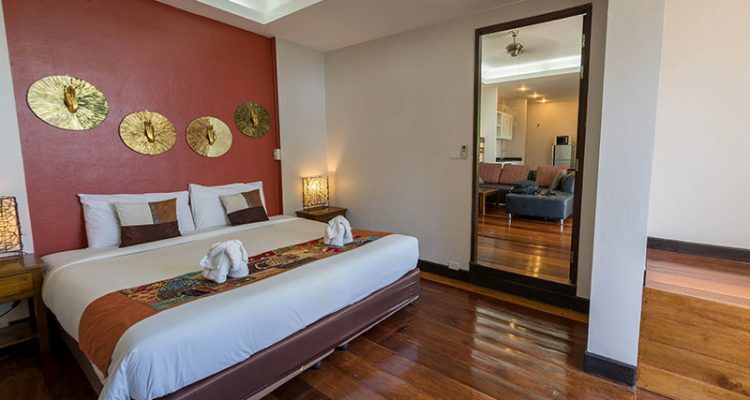 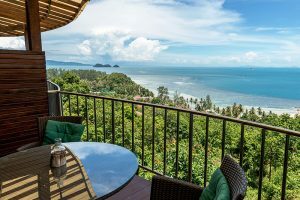 The Sea View Studio Suite has beautiful sea view on the Gulf of Thailand, Koh Samui, the Marine Park and a large terrace while the Deluxe Garden View Studio has a nice view of the lush, tropical garden. 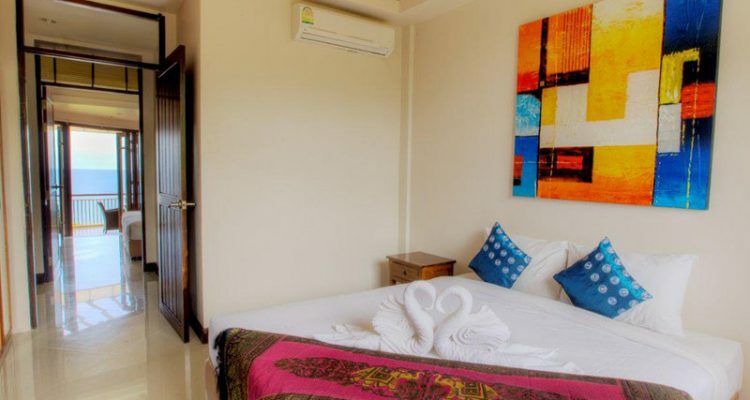 Both studios are equipped with rain showers, refrigerators, electric kettles, flat screen televisions, DVD/music systems and of course air conditioning, fans and wardrobes. 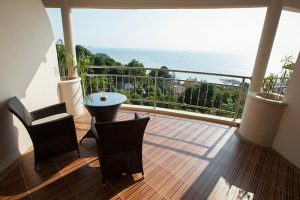 If you are looking to stay with ample space and luxury with 3-4 friends, two couples or a family this apartment is ideal for you. 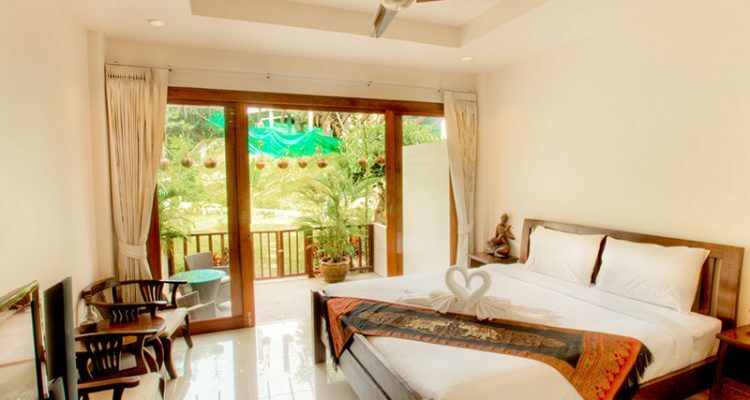 Notes: You have the option of either an upper level Garden View Room or a lower level Deluxe Garden View Studio. 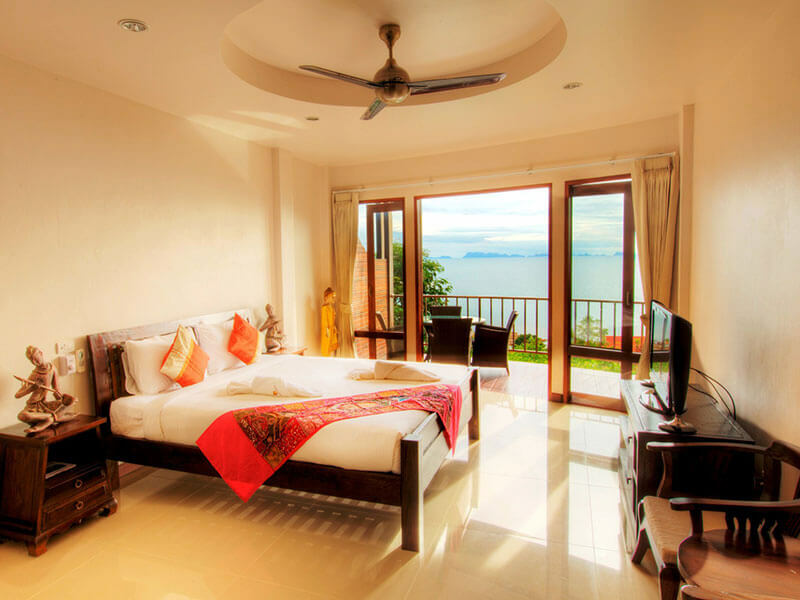 Either option has the choice of one double or two single beds. 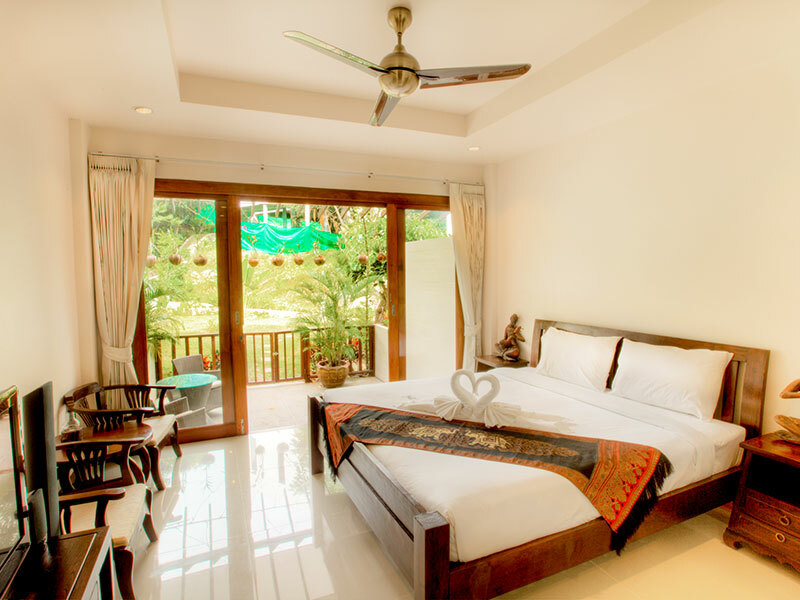 Please contact us for preferences (based on availability). 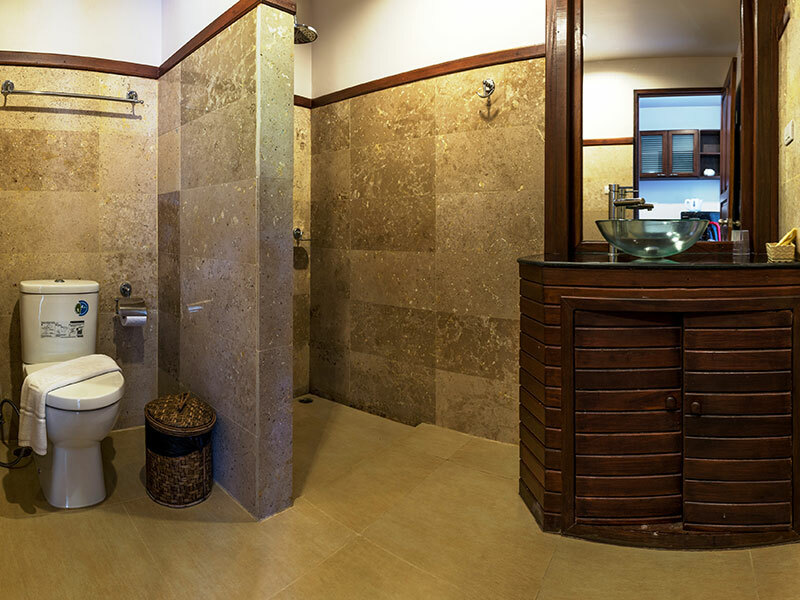 Fully equipped kitchenettes are available for stays of 7 nights or more for an additional charge. 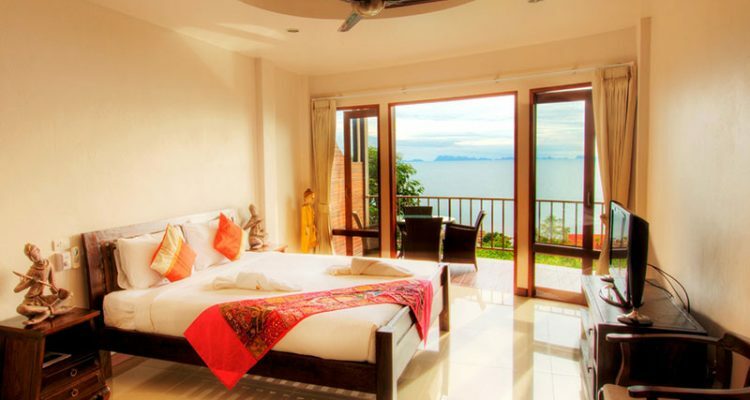 Please enquire for details.